Premier Car Service offers professional car service in luxury sedans and SUVs. We travel all across the Maritimes and we are available 24/7. 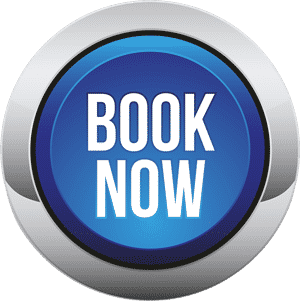 All of our rates are calculated automatically with our online booking system. We regularly provide Halifax airport taxi and limousine service to and from Halifax Stanfield Airport. Finding transportation to Halifax Airport can be very stressful. Which is why we built our system to take the stress out of pre-arranging your airport service. People will often search google to find a "Halifax Airport Taxi," The search will present many options, but no one will give you the unparalleled customer service that our valued clientele receive. Premier Car Service delivers the service that you would expect from a professional airport limo company with a commitment to duty of care. We deliver service with a comprehensive booking and dispatch system that maintains thorough communication with our clients. We send all of our clients a detailed reservation confirmation, trip itineraries, and receipts that our business clientele truly appreciates. Our system will notify you with message updates on who your driver is, the vehicle they are driving and a mobile number to reach the driver. 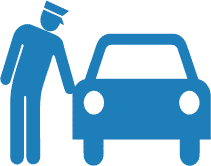 You are notified when your vehicle is on the way and when the driver arrives on location, including airport pickup instructions if you are being picked up at the airport. We are detailed oriented and we leave nothing to chance. For instance, even our drivers receive a wake-up call for early morning pickups to ensure that your service is delivered. Do not settle for just any airport taxi, choose Premier Car Service for reliable professional service that will surpass your expectations. Premier Car Service is always 5 minutes early and very reliable. Their online system is easy to book. They are very friendly and professional. Most of all, I appreciate their flexibility when my flights are cancelled/delayed and immediate answers to my emails. I once had a flight delayed and arrived in Halifax at 2am (instead of 10pm). Sure enough, there was a car waiting for me at arrivals at no extra cost. Too notch professional every step of the way. From confirmation to flight tracking to guiding you upon arrival to the proper steps at the airport to take, the service makes for peace of mind. Definitely one above the rest! Perfect service with safe and friendly drivers. Found our remote house with no trouble and were accommodating to my chatty 2-year-old and her stroller/carseat/animals. Will use them every time I come to Halifax. Thank you. Fantastic service, driver was a few minutes early. He was friendly and professional, car was immaculate and a very smooth and stress free ride to the airport. Will certainly be using this service in the future. Because our attention to detail is second to none.